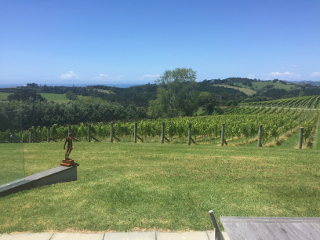 Coxhead Creek vineyard is located on elevated slopes above the Matakana Coast, one hour north of Auckland. 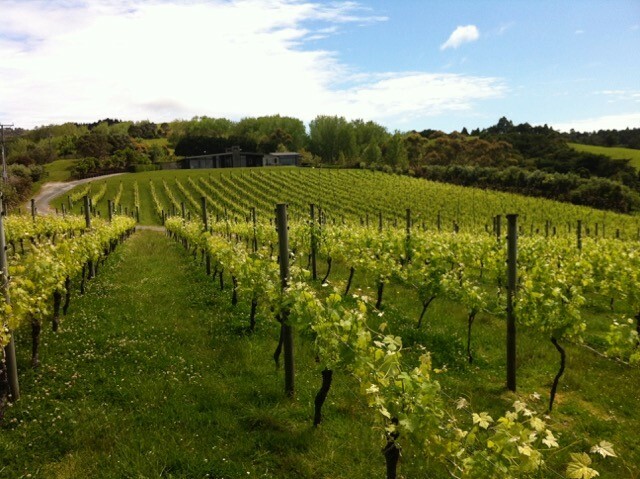 The vineyard enjoys free-draining soils and a climate likened to bordeaux. For owner Michael Lorimer, the tiny 5 acre vineyard is an acknowledged labour of love, with most of his free time employed tending the vineyard, which is planted in Cabernet Franc, Verdelho and Chardonnay. Matakana is a small New Zealand town situated 10km east of Warkworth and less than one hour’s drive north of Auckland. Almost all the vineyards are on slopes, which helps to drain the clay soils. 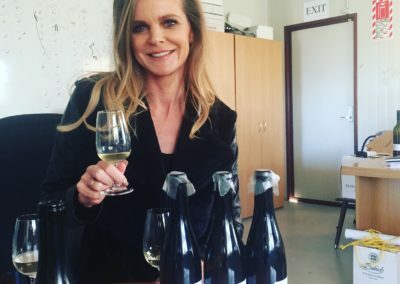 Traditionally a red wine growing region there are now some outstanding white wines – especially Chardonnay, Pinot Gris and now Verdelho. The winemakers are a diverse community, approaching the business of making a living from wine in very different ways. 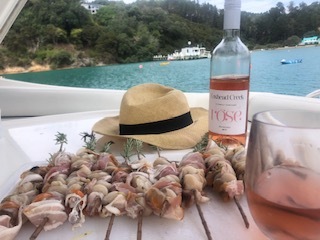 Coxhead Creek Rose and Fresh scallops.